Decision-focused research starts with the end in mind—information to inform your thinking about the decisions you are facing. It is a methodical approach to information gathering for the purpose of understanding an issue, identifying potential alternatives for addressing that issue and gauging the potential impact of alternative. 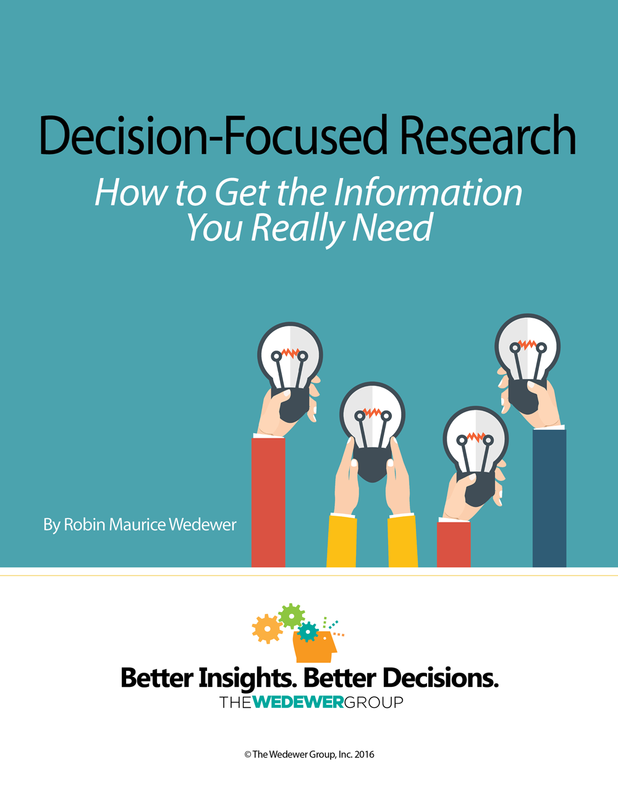 In Decision-Focused Research, Robin describes how research structured around the decision making process can improve your results.